1983 BMW 733i - This is a grey market E23. It has a number of things not found on the US version, including the small Euro bumpers and manual windows. Other than the catalytic converter, this car needs very little. It has a small crack in the windshield and a few cracks in the dash. 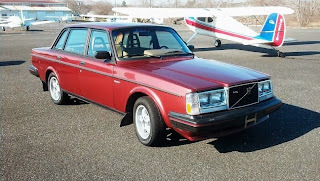 1983 Volvo 240 GLT Turbo - This car has just 24,510 miles on it. 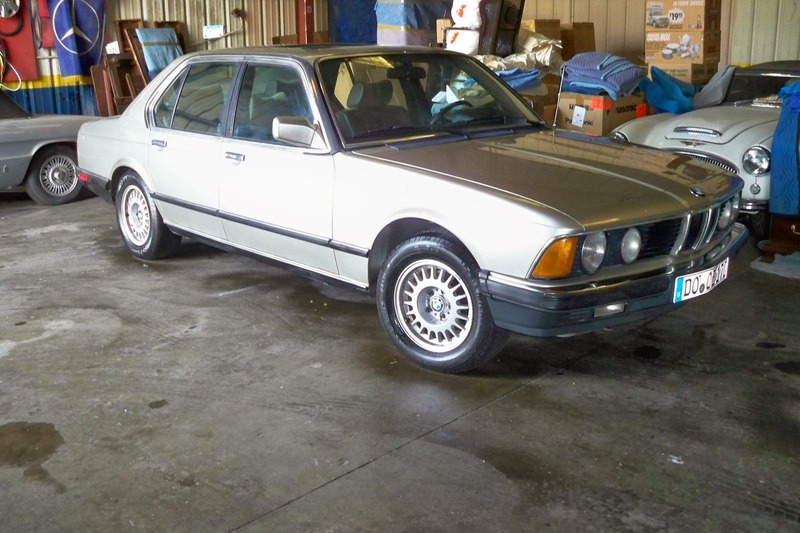 The seller explains the low mileage in his ad and says he has the documents to prove it. Essentially, it outlived its original owner. With its automatic transmission, this car would be a perfect "around town" car. With the turbo it would be a respectable highway cruiser. Being a Volvo 240, it will run forever and keep you safe. This is a classic car the whole family could drive. Located in Allentown, NJ, click here to see the eBay listing. 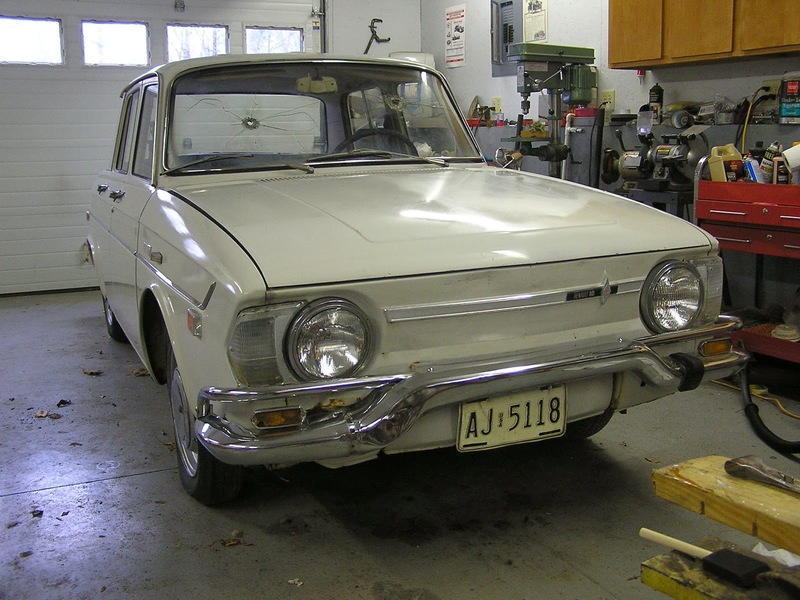 1969 Renault 10 - This is not a spectacular example of a Renault 10. But, it's noteworthy for a couple of reasons. First of all, this 10 has 39,340 miles on it. The Renault 10 was a decent car but, like many Renaults sold in this country, it was, for the most part, unloved. When a Renault 10 stopped working, it was junked. How and why this one survived is a mystery. Sadly, it's a mystery the seller doesn't explain in his ad. Secondly, it has an automatic transmission. This is not your typical hydraulic auto box. (Renault wouldn't do something like that, right?) The transmission in this is essentially a manual transmission with an automatic clutch. It was produced by Jaeger. From Wiki: The clutch in the system was replaced by a powder ferromagnetic coupler, while the transmission itself was a three-speed mechanical unit similar to that of the Dauphine—but from the beginning, in this form, with synchromesh on all gears. The system used a dash-mounted push button control panel where the driver could select forward or reverse and a governor that sensed vehicle speed and throttle position. A "relay case" containing electromagnetic switches received signals from the governor and push buttons and then controlled a coupler, a decelerator to close the throttle during gear changes, and a solenoid to select operation of the reverse-first or second-third shift rail, using a reversible electric motor to engage the gears. The system was thus entirely electromechanical, without hydraulics, pneumatics or electronics. It is downright prehistoric-like when compared to the computer controlled transmissions of today, but back in the 1960s - especially to American mechanics - it was diabolically complex. As you can imagine, when the transmission had problems, the car was often scrapped. I'm not recommending that anyone buy this car (of course, I'm not saying you shouldn't, either), I'm just pointing it out. The transmission isn't any particular problem, so I wouldn't worry about that. But there are little yucky things all over this car, unfortunately. You never know about a thing like headrests, the car was first delivered in December of 1969, which would be a long time for a 1968 to sit languishing on the showroom floor, and the seats could have been replaced with whatever was available along the way. Odd that it has US Forces license plates that they issued from around 1984 to around 1989 (this is an early one).